FRONT DRAPE. VELVET & SILK. PAINTING WITH FLUORESCENT DYES, CHANGING IN THE PROCESS OF SWITCHING OFF THE LIGHT. 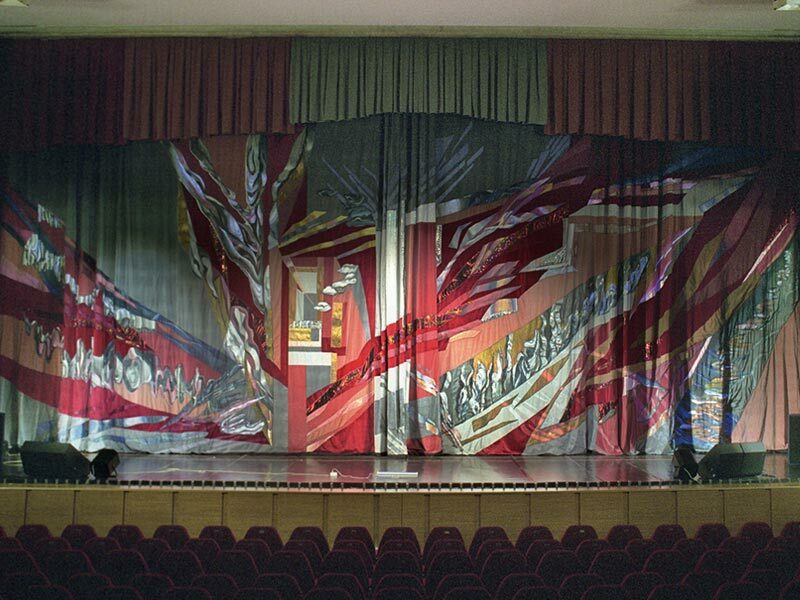 Center for the Performing Arts "Severstal", Cherepovets, 2005.